We had a great crowd at the RSCK Real Estate Forecast on October 23, 2018! This Forecast featured an update on how the South Central Kansas region has thrived and changed in the past year and what is to come. Dr. Stan Longhofer, Wichita State University Center for Real Estate Professor and Director of the Stephen L. Clark Chair of Real Estate and Finance. Join us for the RSCK® Real Estate Forecast Breakfast featuring an update on how the South Central Kansas region has thrived and changed in the past year and what is to come. Dr. Yun will discuss recent developments in the national and local housing market and how those developments will impact the South Central Kansas region’s economy. Dr. Yun will provide insight into both the national and regional real estate market and the direction of home prices in the next 12 to 24 months. In addition, Dr. Yun will review past housing cycles, our current economic backdrop, and forecast the economy and housing market. Dr. Stan Longhofer will provide an overview of the local economy and real estate forecast based on information gathered through annual roundtable discussions with real estate professionals throughout the state. 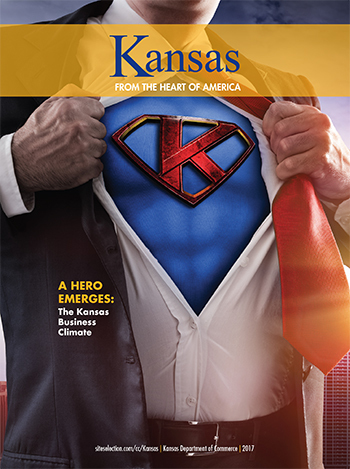 He will introduce the 2019 Kansas Housing Markets Forecast developed by the WSU Center for Real Estate and provide insight into the direction of our economy and local real estate market in the coming year. Breakfast will be served at 8:00 a.m. Accepting Candidate Applications for the Board of Directors until June 30 at 5:00 p.m.
2019 Volunteer submissions are due July 31st at 5:00 p.m. Deadline to submit the Candidacy Application is 5 pm on Sunday, July 15, 2018. To RSVP: Call 316-263-3167, Email alyssa@sckrealtors.com, or click here. In an effort to combat the outrageous Loopnet cost increases – The Realtors of South Central Kansas, South Central Kansas MLS, and a task force of commercial real estate agents have recently created our very own Kansas Commercial Information Exchange service through the Catylist platform. We are trying to get the word out to all commercial agents in the area that would benefit from joining this service – please share this information as you see fit. You do not have to be a REALTOR or SCK MLS member to join, though there are price breaks if you are. If you would like more information including the application and fee structure, or if you have any questions about your specific office/agents and what membership would look like for you, please email Mandy@sckrealtors.com. Join the RSCK Community Involvement Committee for their annual neighborhood clean-up! This project includes yard cleanup such as picking up trash, trimming trees & bushes, as well as repairing & painting fences. Items needed to be brought with volunteer if available include: gardening tools, works gloves, clippers, chainsaws, & weed eaters. Registration & Breakfast at 8:30 a.m.
Who: Open to the public. All ages are welcome. Exciting News for Commercial Real Estate! Members, Non-Members, CCIM Members, Commercial REALTORS®, you will want to read this! South Central Kansas MLS and the REALTORS® of South Central Kansas have been evaluating the addition of a Commercial Information Exchange (CIE) which would be administered by South Central Kansas MLS. We are excited to announce that this additional service was approved by the RSCK General Membership and the SCK MLS Participant Members on Friday, March 9, 2018. This new service will give us the opportunity to provide a local database and marketing option for commercial members. South Central Kansas MLS is in the process of negotiating a contract with Catylist. This will lead to an opportunity to have a broader commercial presence throughout the region and state. CIE members will have the ability to be served by our local organization rather than subscribing to a national service with minimal control of data and rising fees. This CIE service will be available to both REALTOR® members and non-REALTOR® licensees. Catylist offers a platform that enables members to share data and take advantage of the resulting efficiencies. Unlike other services, the members will retain ownership of their data while benefiting from a large network of partnering services around the country. Catylist has been in existence for 17 years and is committed to amazing customer service. Catylist currently works with over 45 Associations across the US and Canada. Catylist has the ability to showcase your listings on your company website. Catylist will also have the ability to feed information to NAR’s Commercial REALTORS® Property Resource (RPR). REALTORS® Property Resource® (RPR®) delivers on-the-go access to an all-encompassing real estate platform, available exclusively to REALTORS®, and offered by NAR at no additional cost. This CIE platform will be a great service for our commercial members, and will likely lead to new services and opportunities in the future for commercial members. We remain committed to excellence, innovation and serving our 2,000+ members who represent every specialty of real estate. The new Commercial Information Exchange is on target to be implemented in April 2018. We will keep you informed of details as they are released. The National Association of Realtors® has announced that John McKenzie, a Realtor® from Wichita, KS, has become a Golden R investor in the Realtors® Political Action Committee. RPAC is a national bipartisan grassroots-based political advocacy organization that works to protect the real estate industry and the dream of homeownership for Wichita residents and across the country. John McKenzie has supported RPAC for many years and has been a member of the National Association of Realtors® since 1972. He holds GRI, PAST CRB, and ABR certifications. He graduated from Long Island University (1970) where he earned his Bachelor of Science Degree, in Business Management. He currently lives in Wichita with his family. He previously served on the following NAR Committees: MLS, Risk Management, Legislative, RPAC Participation, RESPA, Working Group Task Force, Business Issues Committee, and served as a past NAR director. When asked why John supports RPAC and why other RSCK REALTORS should invest in RPAC, he explains, "(I) learned a long time ago that we all have an obligation to be politically active. Legislation that affects home ownership and our profession is best heard when our members make financial and personal time contributions. I have witnessed through the power of being heard the halting of numerous, punitive pieces of legislation that would have been catastrophic to our industry. It saddens me that more of our members don’t participate in making themselves heard. If Real Estate is your Profession then Politics is your business. Get involved. I challenge all our members to invest in their profession and give a minimum of $100 towards RPAC in 2018." Since 1969, RPAC has promoted the election of pro-real estate candidates across the United States. The purpose of RPAC is to elect officials who understand and support the interests of real estate professionals and their home buying, selling and investing clients. RPAC uses its resources to seek to elect candidates that understand and support real estate, and to develop public policies that allow consumers to own homes and build their communities through commercial investment. John McKenzie’s investment will be applied to supporting homeownership, commercial real estate transactions, and the very future of the real estate industry. Current Realtor® priorities include working to preserve the Mortgage Interest Deduction and preventing the use of guarantee fees charged on Fannie Mae and Freddie Mac-backed loans to fund non-housing programs, which serves as a tax on consumers and prevents more qualified borrowers from becoming actual homeowners. Reminder that all dues and invoices from our office will be sent from support@sckrealtors.com. Please add support@sckrealtors.com to your SAFE SENDERS list to continue receiving billing from us in a timely manner. If you are unsure how to add Safe Senders, please contact your computer administrator for instructions. Now that both the House and Senate have passed The Tax Cut and Jobs Act, a Conference Committee will now reconcile the differences between the House and Senate approved bills. REALTORS® have an opportunity to encourage Congress to maintain the current law for the mortgage interest deduction and capital gains exclusion. President Donald Trump signed a three-month extension of the National Flood Insurance Program, ensuring insurance won’t lapse on Sept. 30. The program’s next expiration date is Dec. 8. NAR’s Call for Action concluded Sept. 8. NAR will continue legislative advocacy efforts for the 21st Century Flood Reform Act, which provides for long-term reauthorization and makes needed reforms. Fannie Mae is increasing its maximum debt-to-income ratio to 50 percent from 45 percent and last month eased underwriting for borrowers carrying heavy student loan debt. The changes will help more households obtain financing to buy a home and are explained in an NAR video with Fannie Mae Vice President Jonathan Lawless. WASHINGTON (May 17, 2017) – Any perceived shortage of appraisers may be location specific and dependent on whom you ask, but there is universal agreement that more needs to be done to keep appraisers in the profession and attract new talent. That’s according to panelists yesterday at a property valuation forum at the 2017 REALTORS® Legislative Meetings & Trade Expo. The conversation with property valuation experts comes at a time of numerous challenges within the industry. NAR’s Appraiser Trends Study released earlier this year underlined many of the ongoing issues in the profession, including regulatory burdens, insufficient compensation, and dissatisfaction in the work leading to what some say is a shortage of appraisers. Providing their insights on these issues and ways Realtors® can communicate more effectively with appraisers were David S. Bunton, president and CEO of The Appraisal Foundation; James Park, executive director at the Appraisal Subcommittee; and Jim Amorin, 2017 president at the Appraisal Institute. Susan Martins-Phipps, a Realtor® and certified residential appraiser, moderated the session. Much of the discussion during the session focused on balancing the need for appropriate regulation without overly burdening the industry. Sharing their own experiences, Bunton and Amorin discussed how the multiple federal, state and international standards can conflict with each other at times and cause confusion, frustration and an inability to appropriately serve the needs of clients. Citing NAR’s appraisal survey, Amorin said that excessive regulation is the number one reason appraisers are leaving the industry, along with decreased fees and increased expenses. While regulation serves its purpose, Amorin stressed the need for ‘appropriate updating’ given that technology and consumer preferences have changed over the past decade. According to Park, public trust in the appraisal profession is important, and while there are certainly challenges in the industry, few of those challenges have to do with federal regulation. He also said outside of a few areas, he believes there is not a shortage of appraisal professionals. Citing the lower mortgage volume compared to the early 2000’s, Park said the number of active appraisers is proportionate to the current level of work in most of the country. Amorin added that although the number of appraisers have declined around 23 percent since 2007, any actual shortages are primarily in some rural areas, and what some see as a shortage in quantity is actually just a dearth of appraisers willing to work for the low fees that have failed to keep up with inflation. However, Amorin did sound the alarm on what could be an inadequate number of appraisers in the future. Bunton agreed with Amorin and indicated he’s hopeful an improving housing market will bring more individuals, including millennials, to the industry. “If you’re a millennial, what’s not to like? You get to use technology, the hours are flexible and there’s always work,” he said. The end of the session focused on bettering the appraisal process for the greater benefit of the real estate industry. While appraisers must maintain their independence, Amorin stressed the important role real estate agents can play in helping serve their clients and improve the work of appraisers. He said to applause from the crowd that it’s certainly fine for agents to talk to appraisers as long as they aren’t putting undo pressure on them. “Regarding the relationship between appraisers and Realtors®, my message to Realtors® is to help them help you,” said Amorin. NAR submitted a letter late last year to the Appraiser Qualifications Board in response to their efforts to improve recruitment and retention of new appraisers. Knowing the integral part appraisers are to real estate transactions, NAR supports AQB’s revisions to some of the education and experience requirements to bring new appraisers to the industry. For more information on NAR’s valuation activities and advocacy efforts, visit www.nar.realtor/appraisal. Affordability pressures, student debt and possible confusion about down payment requirements have kept many aspiring homeowners from reaching the market, according to NAR's Aspiring Home Buyers Profile, which analyzes data from the association's Housing Opportunities and Market Experience (HOME) survey. "Nearly all non-homeowners said they want to own a home in the future, but it's evident that higher rents and home prices—up 41 percent in the past five years—along with limited entry-level supply and repaying student debt have combined to make buying a challenging goal," says NAR Chief Economist Lawrence Yun. News release.